Alan Robert Pearlman was born in 1925 in New York. The founder of one of the first leading synth manufacturers – ARP Instruments, Inc. was brought up in the family of constructors – his father designed film projectors, and his grandfather was engaged in the design of parts for the phonograph. Pearlman was raised on the sounds of classic piano and didn’t like pop-rock culture, but the oddity is that soon he would start releasing synthesizers for all those violent junkies and alcoholics of pop-rock beau monde enjoying it more than he could ever imagine. Despite his more than indifferent attitude to pop culture, Alan Pearlman loved classic experimental electronic music. When he heard Walter Carlos’ “Switched-On Bach” vinyl, his was hugely impressed. That’s when he decided to make electronic musical instruments. After his studies, Alan worked for the companyconducting electronics research with George A. Philbrick with Roger Noble, a pioneer in the development of integrated circuits for operational amplifiers, and spent five years developing amplifiers for NASA programs “Gemini” and “Apollo” in the research laboratory “Nexus” in Canton, Massachusetts. “Nexus Research Laboratory’s” increased sales to 4 million dollars before it was sold toTeledyne companyin 1966. Among Pearlman’s patents there was a circuit which is still being used. In 1969 Pearlman and several employees left Philbrick, and Alan contributing his own $100,000 and attracting to participation a small group of investors founded ARP Instruments, Inc. ARP Instruments, Inc. and Moog Musicwere confident synth market leaders. Moog carried the name of its creator as well as ARP did – Alan’s initials – plus “instruments”. For several years, ARP released highly valuedmodels of synthesizers which are still popular: “Odyssey”, “Pro-Soloist”, “Omni” and others, which became real classics of analog sound. Pearlman’s company presented its first ARP 2500 synthesizer that attracted attention to the public and was intended to become a direct competitor to Moog modular synthesizer. One of the reasons of its success was about the following: in Moog synthesizer, cables were used to connect the modules, and Pearlmanchose a different connectivity principle – the matrix, with a grid of vertical and horizontal lines, at the crossing points of which it was necessary to insert special pins to connect contacts (the same method was used by the English EMS brand in its VCS-3 synthesizer). The main reason of Pearlman’s success was the stable operatingof sound oscillators, and this was an absolute advantage and core difference from Moog’s product in which the sound constantly “floated away” which made “Moog” unreliable in live performances. By the way, Bob Moog honestly admitted the excellence of ARP there. ARP 2500 is still a dream for many musicians and studios, but as soon as only about 100 copies were released, this synthesizer, of course, is extremely rare. It was used by Pete Townshend, “The Who”, Jean-Michel Jarre, Vangelis, Jimmy Edgar, Vince Clarke and others. He can be heard and seen in Steven Spielberg’s fantastic film “Close Contacts of the Third Degree” – scientists use ARP 2500 to communicate with the flying saucer. As for the polyphonic synthesizer ARP Omni, equipped with preset sounds of orchestral strings, it became the most commercially successful product of the company in those years. It consisted of three sound sections: “String”, “Synthesizer” and “Bass Synthesizer”, which could be used both individually and simultaneously. This instrument was used by Tangerine Dream, The Cars, Joy Division, Kraftwerk and the Soviet band Zodiac. In 1977 the company launched and sold its products for more than $7 million. ARP shined and dazed. Having given the company a glamorous brilliance, Pearlman, Pollock and Friend lured the big stars to the stage, and the most frequent ARP guest was Diana Ross. 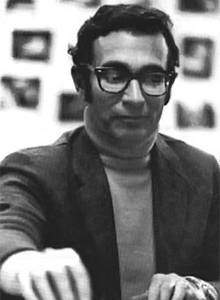 Alan Pearlman’s name often flashed in the newspapers. But it was not so brilliant considering the financial part of the deal. As already noted, each of the three managers had their own idea of the company’s future, and Alan Pearlman was less likelyto seem a president of a large company. When in 1976 Dave Friend and engineer Tim Gillette conceived the idea of creating a guitar synthesizer – the yet-to-be ARP Avatarwhich would cost $3,000 – they didn’t even share these plans with Pearlman, suspecting him of negative reaction. Avatar became not only the most ambitious, but also the most risky and unpredictable project of the company. The company lost $700 000 in 1979. 1980 brought a loss of $300 000. The company has planned the release of an electric piano with 16 preset sounds. However, this instrument, which was intended to save ARP, being developed in a short time, turned out to be a very unreliable unit. Also, with the involvement of Pearlman, another project was developed – the polyphonic synthesizer Chroma, controlled by a microprocessor, but ARP didn’t manage to release it. There were trials started with the First National Bank, which gave ARP loans, and the property had to be sold. But the synthesizer Chroma didn’t go into oblivion. Rhodes company successfully launched the unit and put it onto the market, having bought rights for its release. The synthesizer was produced from 1982 to 1984, about 3000 copies were manufactured. It was played by JethroTull, Herbie Hancock, Joe Zawinul and Oscar Peterson. As for ARP Avatar, which played a clue role in the fate of the company, this miracle is a musical relic and a nice collection treat of impressive rarity. In September 1981 ARP Instruments, Inc. ceased operating, and Pearlman and his family fell into a financial coma, facing the loss of $500,000 in cash and $ 1 million in paper assets. Only in 2003 Pearlman founded the company “Selva Systems” for software development and began to produce a new software synthesizer “TimeWop 2600”, emulating the protocol “ARP 2600”.